Hi everyone, today I have an Indie brand nail polish to share with all of you. I was recently contacted by Nail Polish Canada.com to review a few Rainbow Honey nail polishes and I was super excited because I have never owned anything by the brand and I am very much into Indie brands at the moment so I could not wait to paint my nails with these polishes. As with everything, I am always 100% honest in my reviews. Keep in mind the bottle you are viewing in these photos are blogger sizes – they are available for purchase at 15 ml / bottle. 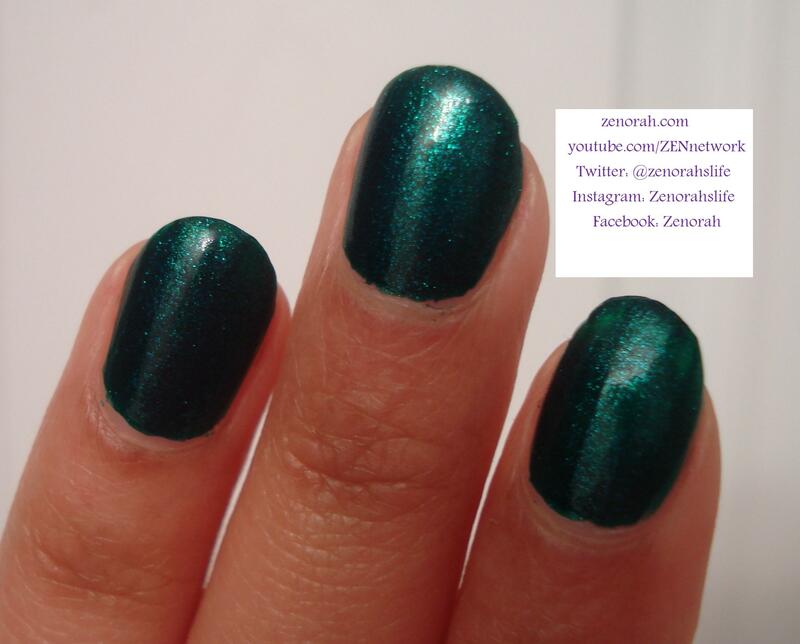 Rainbow Honey ‘Emerald Weapon’ – is a dark emerald green infused with teal shimmer particles. This is truly a unique polish in my collection & the only polish that comes to mind that might be similar is a very hard to find polish MAC released 4 years ago called Jade Dragon. I shall do a comparison post in the future. It was opaque on two coats, however it was a slightly thicker in consistency than what I am used to with shimmer polishes. However it is a STUNNING colour, the manicure dried within 10 mins and I did not see tip wear or chips within three days of wear. The teal shimmer takes this polish to new heights and I am very impressed that this is an Indie brand! 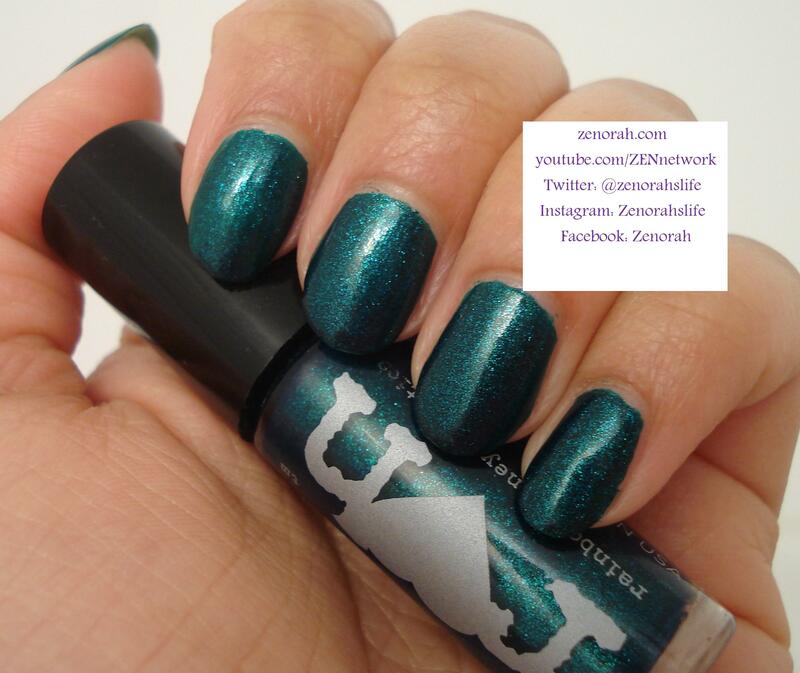 If you love green or teal polishes, this would be an amazing addition to your collection. I think this is one polish would be an amazing ‘night’ polish in the Spring & Summer as well (would contrast nicely against yellows, oranges, pinks & neons etc). If you are new to Indie brands, this would be a good brand to start with! Do you own Rainbow Honey ‘Emerald Weapon’? What are your thoughts on this nail polish?